After years of painting a wide range of subjects and mixing a whole array of colours, I often come across a recurring issue... How to remember what colours I use and mix when a new commission lands on my lap. Especially those that have been requested to be painted in the same style as previous works. For me, this new process of mine is already saving me time in my studio. I need to have my colour mixes up and somewhere in my line of sight when painting. So whilst I'm in the mid of creating, I can easily be reminded of the colours and the mixtures that I love. 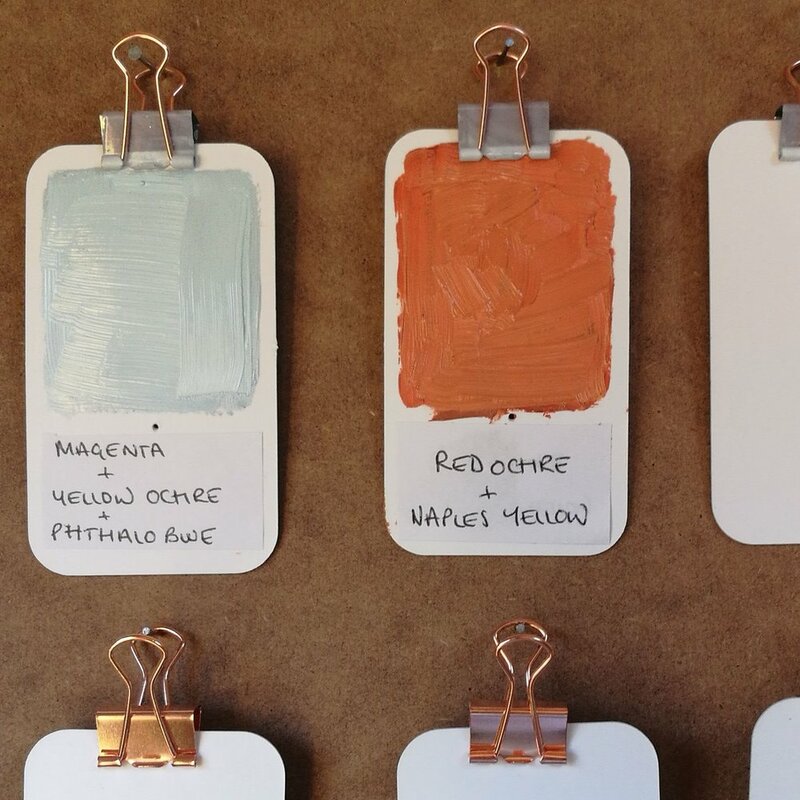 I do love recycling, so I turned old business cards into colour samples. Noting also what colours I used to make them. Slightly annoyed I hadn't started this years ago. Continuing this theme of keeping colour swatches visual, I always have one area in my studio where I keep other visual inspiration. Cut outs from magazines, colour swatches from B and Q. Even my own artworks and ideas that I want to revisit. Keep it visual people.